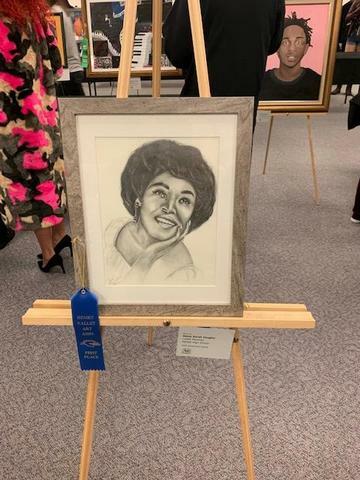 Hemet Valley Art Association hosted an art competition with local and school artists with scholarship awards. On Saturday, March 23rd the Hemet Valley Art Association Hosted "An Evening of Art" at the Hemet Public Library. It was an incredible display and camaraderie of local arts and artists. A highlight of this event is acknowledging high school artists from the Hemet Unified School District. Acceptance into this juried art exhibit is an honor and winners of the exhibit receive art scholarships. Please congratulate these students on their achievements and success!